From Shen Nong’s Herbal Classic (Shennong Bencao Jing) to the Compendium of Materia Medica (Bencao Gangmu) and the first scientific Nobel Prize for the mainland of China, each milestone in the historical process of the development of traditional Chinese medicine (TCM) involves screening, testing and integrating. After thousands of years of inheritance and development, herbgenomics (bencaogenomics) has bridged the gap between TCM and international advanced omics studies, promoting the application of frontier technologies in TCM. 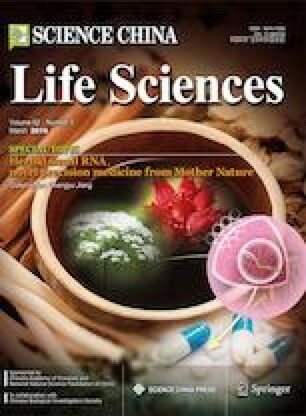 It is a discipline that uncovers the genetic information and regulatory networks of herbs to clarify their molecular mechanism in the prevention and treatment of human diseases. The main theoretical system includes genomics, functional genomics, proteomics, transcriptomics, metabolomics, epigenomics, metagenomics, synthetic biology, pharmacogenomics of TCM, and bioinformatics, among other fields. Herbgenomics is mainly applicable to the study of medicinal model plants, genomic-assisted breeding, herbal synthetic biology, protection and utilization of gene resources, TCM quality evaluation and control, and TCM drug development. Such studies will accelerate the application of cutting-edge technologies, revitalize herbal research, and strongly promote the development and modernization of TCM. Supplementary material is available for this article at https://doi.org/10.1007/s11427-018-9352-7 and is accessible for authorized users. This work was supported by the National Natural Science Foundation of China (81573398) and CAMS Innovation Fund for Medical Sciences (CIFMS, 2016-I2M-3-016).